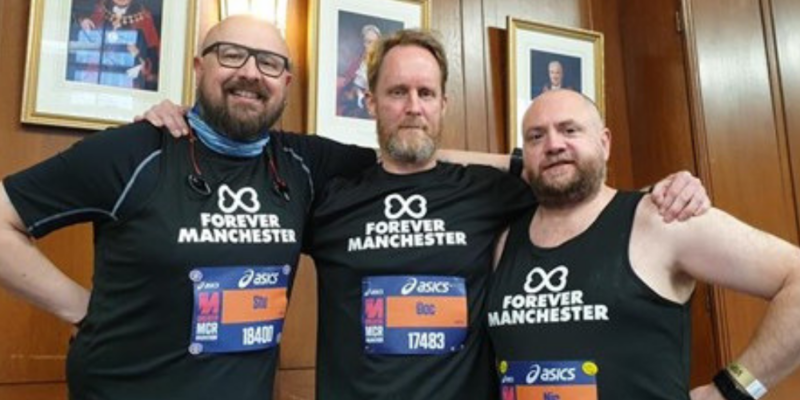 On Sunday 7th April, Nic Edmondson, Stuart Thompson and Adam Roberts took on the almighty challenge of the Manchester Marathon and helped raise £2,122 for Forever Manchester to fund and support community activity across Greater Manchester. Various members of the Forever Manchester family were out and about across various parts of Greater Manchester to offer words of encouragement along the way. Our very own Nick Massey was was along the route recording Nic. 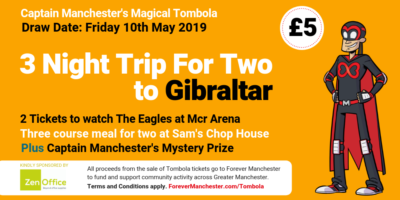 If the efforts of these three runners has inspired you to get involved with fundraising for Forever Manchester, how about downloading our Fundraising Pack and get involved with helping us to fund and support community activity.